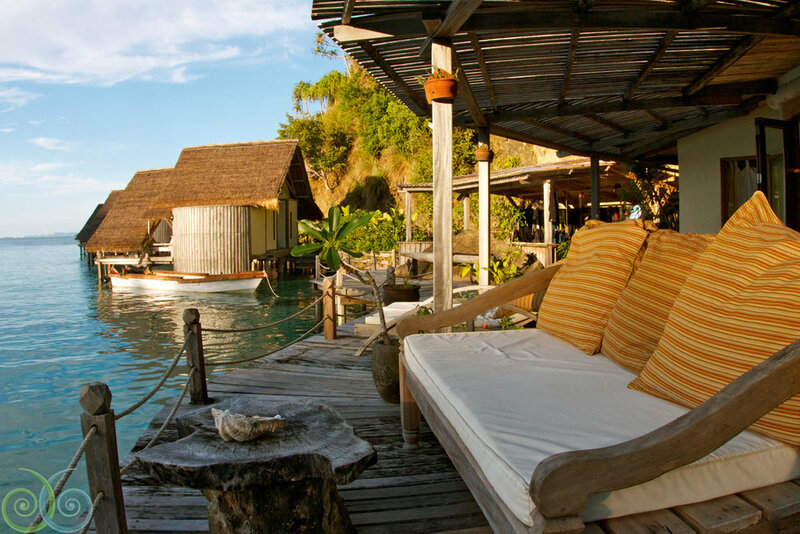 Misool Dive Centre is located in the North Lagoon, built on stilts overlooking the turquoise water. The Dive Centre is spacious and airy, and well-suited to professional photographers and videographers. The 50 sq meter wet area is equipped with a massive work station, perfect for setting up cameras, charging torches, etc. The adjacent dry area is furnished with comfortable lounge chairs, a small library, and a monitor for reviewing the day's images. There is also a sunny 120 sq meter veranda just outside, perfect for warming up between dives. Access to the water from the Dive Centre is either from stairs leading directly down into the North Lagoon, or by way of the jetty, where our dive boats moor up. 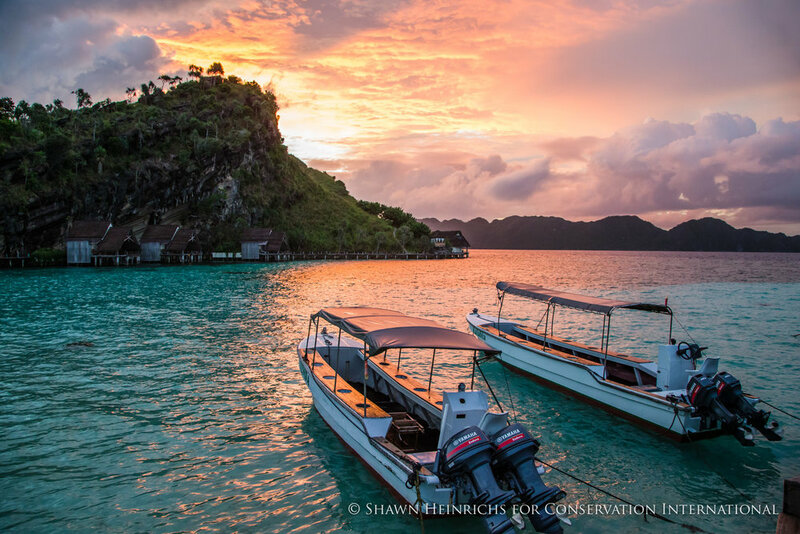 We schedule 3 guided boat dives per day, as well as either a dusk dive or a night dive. 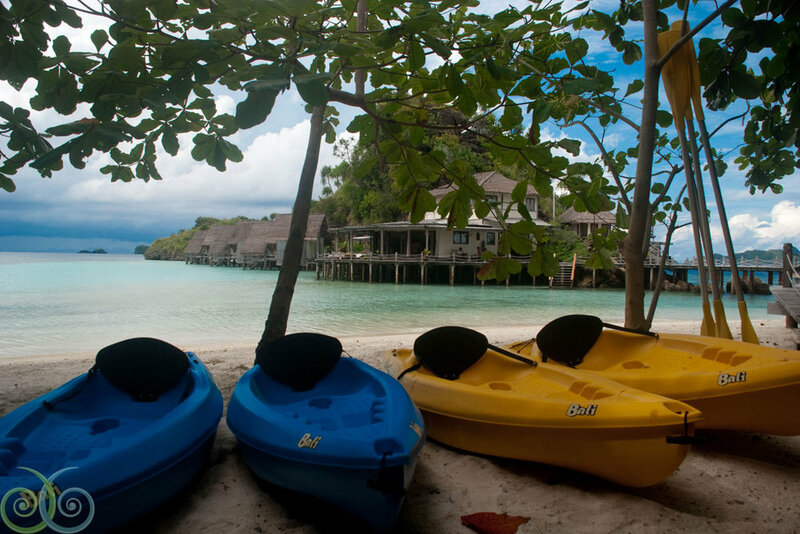 Because our dive sites are so close, we typically come back to the resort for the surface interval after each dive. We are very flexible, and are happy to tailor our dives to your needs - just let our dive guides know what you're interested in seeing, and we'll do our best to accommodate you. We offer a variety of different dive packages, and all include free Nitrox for qualified divers. If you're planning on diving with children, please enquire about safety considerations for divers below the age of 15 years. We'll need to know well in advance if you'd like to book a course, hire equipment, or engage the services of a private guide. Please be advised that due to our extremely remote location and distance from the nearest recompression chamber, we dive very conservatively. Safety is our priority, so we don't allow deco diving, solo dives, or dives deeper than 30 meters. Learn more about what you’ll see on your dive adventures here.